Oregon (Liberal state politicians) are trying to ram a "Universal Registration" law down the collective throats of Oregonians, and they may succeed in getting it passed. But only they (the legistlators) think it will be enforceable. There's a lot of talk about "unenforceable (or unenforced) laws", but perhaps the legislators are not paying sufficient attention to the idea that when they make unjust laws, they make criminals out of honest men and women, They are actually undermining both the law, and the moral imperative for a nation which is based on the Rule of Law rather than the Rule of Men. Last week, I wrote to my state representative saying that I was agains the bill to establish a "Universal Background Check" in Oreon (SB941) because (a) it was not enforceable, and (b) because if it were to be enforced, it would make criminals out of honest citizens, and (c) because it would establish a de facto 'gun registry'. It's nobody's business who I sell a gun to, or who I buy a gun from. So .. thank you very much Oregon Liberal State Senators, but FOAD.. (Pound sand?) IF you enact this law, you will make a criminal of me for doing that which I have been doing responsibly for fifty years: legally buying and selling guns from other responsible gun owners ... which I am. '... it depends on the definition of what 'innocent' is ...."
Who decides whether we or not we are 'innocent'? Who rules? The administrators we hire (via elections) to enforce OUR rules, or the out-of-control nabobs they often turn out to be? Or do we get to look at the situation, and somehow decide wheter their agendas are the same as ours? I think they're looking for control. We're just looking for freedom. 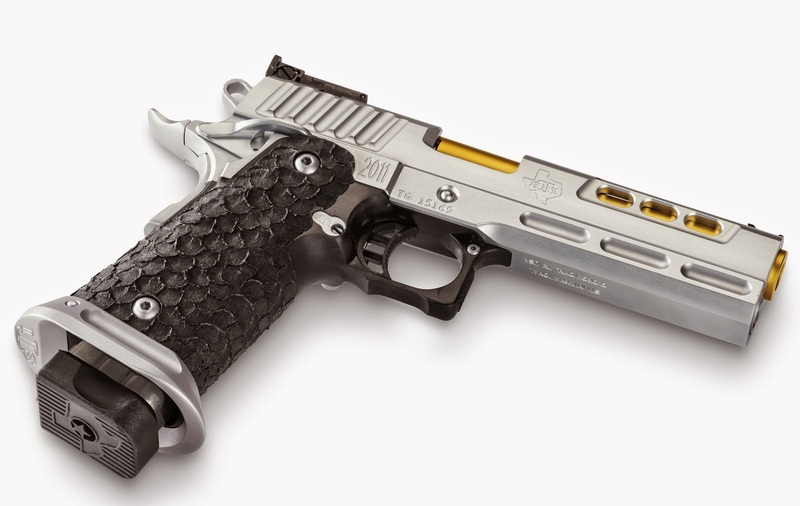 Designed around the concept of Diligentia, Vis, Celeritas, the motto of the I.P.S.C (International Practical Shooting Confederation) – meaning Accuracy, Power, Speed, the new STI DVC Limited and Open competition pistols are designed to win matches right out of the box.